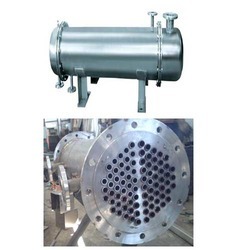 We are manufacture and the supply of a wide range of Heat Exchangers which are used for taking off the high temperature from the fluids and these products have been made in a very precise manner to ensure that they offer a high performance to the customers. These products are high on demand in the market and they have been made using the best quality of raw materials available in the industry. These products are easy to use and needs less maintenance. We are offering these products at market-leading rates.